Fans Can Now Catch New Anime Adventure Featuring The Rebellious Son Of The Legendary Ninja In More Than 100 U.S. Cities In October! VIZ Media and Los Angeles-based film distribution company, ELEVEN ARTS, give anime fans and NARUTO lovers even more opportunities to catch the action-packed premiere of BORUTO: NARUTO THE MOVIE. AMC Cinema and Carmike Cinemas will host the additional screenings at 52 additional U.S. cities starting on October 10th. With this expansions, fans will be able to screen BORUTO: NARUTO THE MOVIE in more than 100 U.S. cities as well as 9 major cities in Canada. BORUTO: NARUTO THE MOVIE will premiere with the original Japanese dialogue and English subtitles. For a full list of U.S. and Canadian theaters, specific screening dates times, and to purchase advance tickets, please visit: http://www.elevenarts.net/th_gallery/boruto-naruto-the-movie/. Featuring the son of the world’s most popular ninja, BORUTO: NARUTO THE MOVIE is executive produced by Masashi Kishimoto, the famed creator of the epic bestselling manga series (also published by VIZ Media) on which the film’s characters are based. BORUTO: NARUTO THE MOVIE also features screenplay and character design by Kishimoto, and was directed by Hiroyuki Yamashita, with screenplay cooperation by Ukyou Kodachi; Chief Character Designers and Chief Animation Directors are Tetsuya Nishio and Hirofumi Suzuki. In BORUTO: NARUTO THE MOVIE, famed ninja, Naruto Uzumaki protects the Hidden Leaf Village as the Seventh Hokage, while Boruto, his troublesome son, resents his father's responsibilities that take his time away from him. Seeing this, Sasuke takes Boruto under his wing, while Sasuke's only daughter, Sarada, dreams of being Hokage one day. With Naruto as the Seventh Hokage, the Hidden Leaf Village plans to host the Chunin Exams to train new shinobi from the village and from their allied villages. Among the entrants are Sasuke's daughter, Sarada, Mitsuki, an exceptionally talented yet mysterious shinobi… and Boruto, Naruto's talented but impetuous son. Meanwhile, Sasuke who’s been on a mission in another dimension appears before Naruto to warn of a strange impending danger. Shrouded with an evil aura, Momoshiki and Kinshiki appear and attempt to assassinate Naruto. Petrified, Boruto is shielded by Naruto, only to disappear in front of Boruto's own eyes! 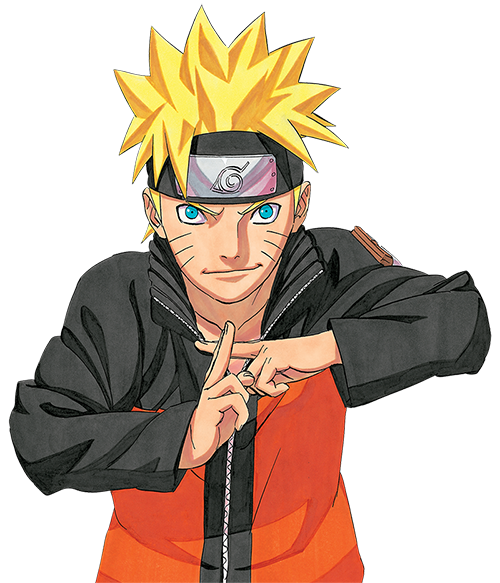 For more information on NARUTO anime, manga and feature film titles, please visit: viz.com/naruto.